As raw food diets are hitting the mainstream, a growing number of “raw”-labelled food and drink products are launching in Europe, and it seems Germany is particularly active when it comes to “raw” food and drink innovation. 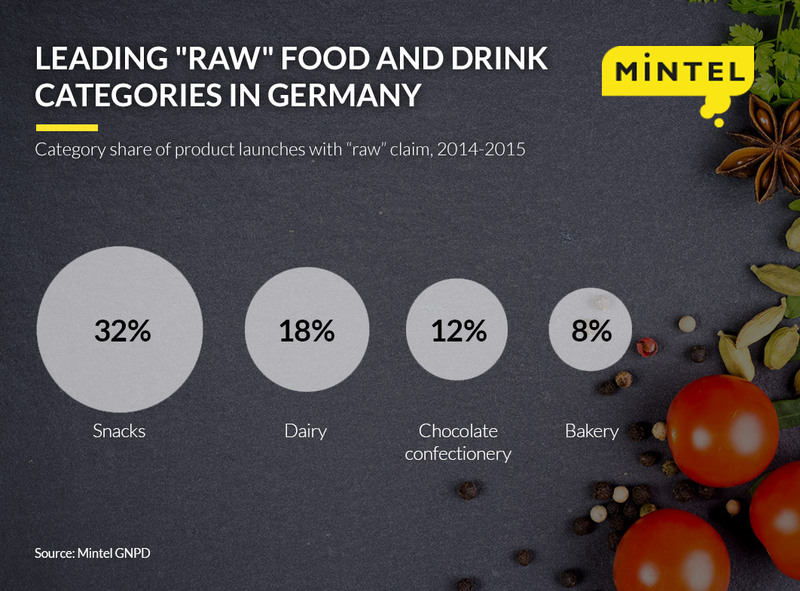 New Mintel research finds that Germany is taking the European lead in “raw” launches, having introduced one out of 10 (10.4%) “raw” food and drink products* in the region in 2015. This is more than double compared to 2014, when only 4.5% of the total “raw”-labelled products were introduced in Germany. Meanwhile, France – the second biggest player in the European “raw” field – accounted for 8% of product launches last year, followed by the UK (7%) and Finland (5%). While Germany’s launch activity is currently the highest in Europe, “raw”-labelled products still only accounted for 1% of all natural-positioned food and drink launches in Germany in 2015. Nevertheless, from that small base, “raw” introductions have shot up dramatically last year: out of all “raw” food and drink products launched in Germany in the past four years, almost half (48%) were introduced in 2015 alone. 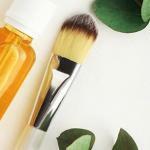 The trend towards more natural options has made inroads in the German food and drink sector for some time now, as consumers grow increasingly wary of additives, allergens and chemicals in food. Indeed, in a 2015 Mintel survey, over one third (36%) of German consumers claimed to avoid food and drinks containing artificial additives or preservatives. What’s more, 20% of Germans said they bought more organic food and drink compared to a year ago, and 16% of German consumer said they were buying more food and drink products made with extra care and attention. “The raw concept takes sought-after health properties a step further, offering not only the benefits of natural ingredients, but also of a more nutrient-preserving production process. The concept of unprocessed foods is attractive not only to strict raw foodists, but also a much wider consumer base looking for healthy products helping them to feel energised and lose or maintain weight.” Julia adds. Indeed, more than seven in 10 (73%) German consumers say eating fresh fruit and vegetables is a good option for losing or maintaining weight, while 44% say the same about unprocessed food. Yet, the “raw” label is not only a trend for fresh produce, but also for other foods such as snack bars, chocolate treats and spreads. According to Mintel’s Global New Products Database (GNPD), snacks are the leading category when it comes to “raw” launches, accounting for three in 10 (32%) “raw” launches* in Germany between 2014 and 2015, followed by dairy (18%), chocolate confectionery (12%) and bakery (8%). Snack bar launches featuring a “raw” label have shot up from 5% of all total snack bar introductions in Germany in 2012 to 15% in 2015. This comes as the “raw” trend seems to hit a nerve with snack bar consumers, as two in five (42%) Germans think that conventional bars are too processed. Consumer interest in raw chocolate in Germany is also high, as almost seven out of 10 (68%) Germans have either tried or would be interested in trying raw chocolate. This attitude is mirrored in the increased launch activity in Germany. While still accounting for just 1% of total chocolate launches, the share of raw chocolate introductions has increased six-fold (580%) in Germany between 2012 and 2015. “While raw launches are certainly on the rise in parts of Germany, activity is still under-represented in a number of categories, such as cereals or soups. These white spaces offer future opportunities for both domestic and international brands. Raw food and drinks will continue to gain attention as consumer interest in ‘living foods’ – as a form of a naturally healthy, high quality diet – is increasing.” Julia concludes. Press review copies of the research, more information on the sample sizes of the surveys and interviews with Food & Drink Analyst Julia Buech are available on request from the press office.